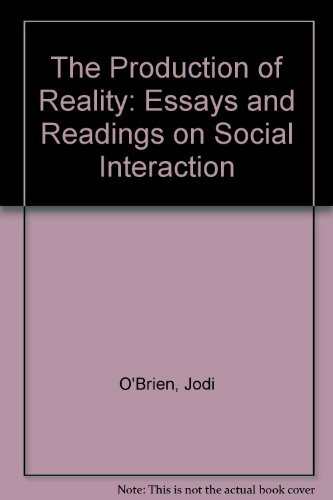 Jodi O'Brien (Ph.D., University of Washington) is Professor of Sociology at Seattle University. She teaches courses in social psychology, sexuality, inequality, and classical and contemporary theory. She writes and lectures on the cultural politics of transgressive identities and communities. Her other books include Everyday Inequalities (Basil Blackwell), Encyclopedia of Gender and Society (Pine Forge Press), Social Prisms: Reflections on Everyday Myths and Paradoxes (Pine Forge Press), and The Production of Reality: Essays and Readings on Social Interaction, Fifth Edition (Pine Forge Press).